YANGON — The Central Bank of Myanmar said its decision last week to let foreign banks operating in the country lend and provide other services to domestic companies will help exporters limited by local lenders finance their trade with the rest of the world. “We expect that they [foreign banks] will mainly provide foreign currency to the local corporations, particularly to finance trade, which would support the country’s trade sector,” central bank Deputy Governor U Soe Thein said at a press conference in Yangon on Wednesday to explain the new rules. “Foreign banks will be able to provide financing and other related banking services in foreign currencies as well as in Myanmar kyats,” U Soe Thein said. Fellow Deputy Governor U Bo Bo Nge said foreign banks can now provide full trade financing services and that the central bank will no longer fix interest rates for foreign currencies but let them float with the market. Interest rates for kyat loans by domestic banks will not be allowed to exceed 13 percent, however. The central bank allowed foreign banks to open branches in Myanmar five years ago, but only to finance foreign companies in foreign currencies. There are now 13 foreign banks from China, Japan, Singapore and elsewhere operating in the country, versus 25 private local lenders. In December three foreign banks — ANZ, MUFG and China’s Industrial and Commercial Bank — were allowed to provide trade financing for exports only. Myanmar’s exporters have had a hard time accessing financing for international trade; local banks only issue loans against collateral. And since foreign banks cannot lend to them in Myanmar, they have had to provide letters of credit — a form of payment that provides a guarantee from a creditworthy bank — through brokers in offshore centers such as Singapore, Hong Kong, Malaysia and Thailand. According to the central bank, foreign lenders cannot accept immovable property such as real estate and buildings as collateral. But they can accept gold, treasury bonds and other related properties in line with international standards. 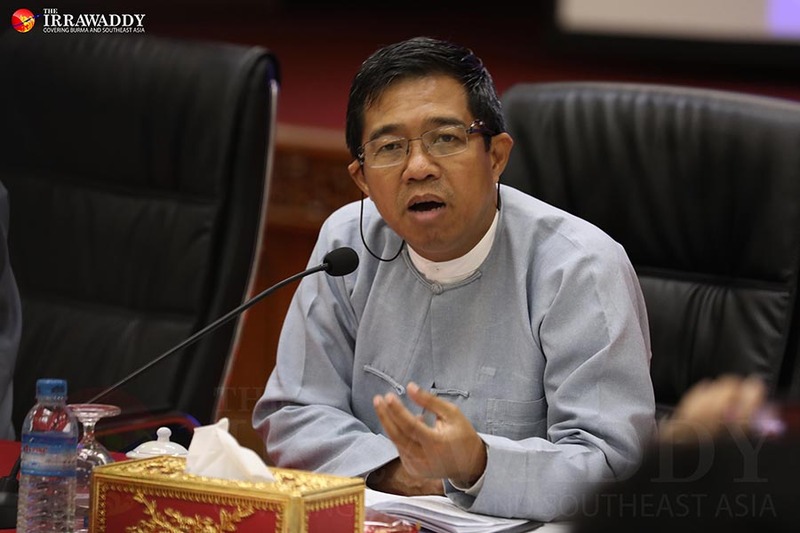 “We were concerned there would be some problems with immovable property if the properties were handed to the foreign banks, so we restricted it,” U Soe Thein said. The deputy governor said foreign banks were not allowed to provide retail banking services such as fixed deposit savings accounts or cards, either. But they can now provide letters of credit in Myanmar. U Bo Bo Nge said the central bank also had plans to change rules that currently let domestic banks accept only immovable property when making loans, a practice that has been blamed for raising land prices. Since the National League for Democracy took power in early 2016, the government has been slow to reform the banking sector. These recent reforms, however, have signaled its willingness to open up to foreign liquidity to alleviate the low circulation of foreign currencies among domestic banks, a challenge that has recently destabilized the kyat’s exchange rates. The businesses community has welcomed the reforms, hoping they will help meet the high demand for US dollars and stabilize the kyat. But U Soe Thein cautioned that the foreign banks have tougher lending criteria and that to access their loans local businesses will have to prepare budgets, tax receipts, convincing business plans and other legal documents. Some local banks have also been complaining that, with their superior technology, services and capital, foreign banks were at a distinct advantage. Undeterred, the central bank said foreign banks will be allowed to open more branches in Myanmar in the coming years. 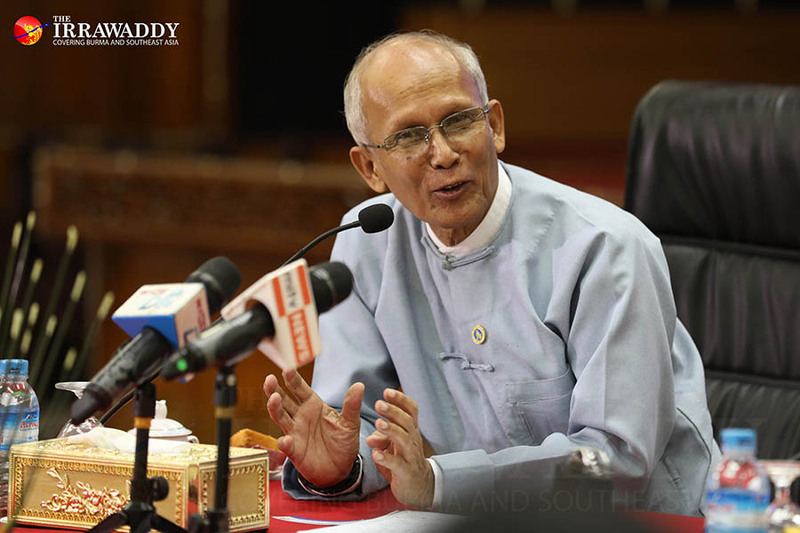 “We are no longer restricting foreign banks from doing business in the country just because the local banks are not ready yet.” U Soe Thein said.